Carpenter bees can destroy the wood in your home. Use this simple trick to capture carpenter bees. 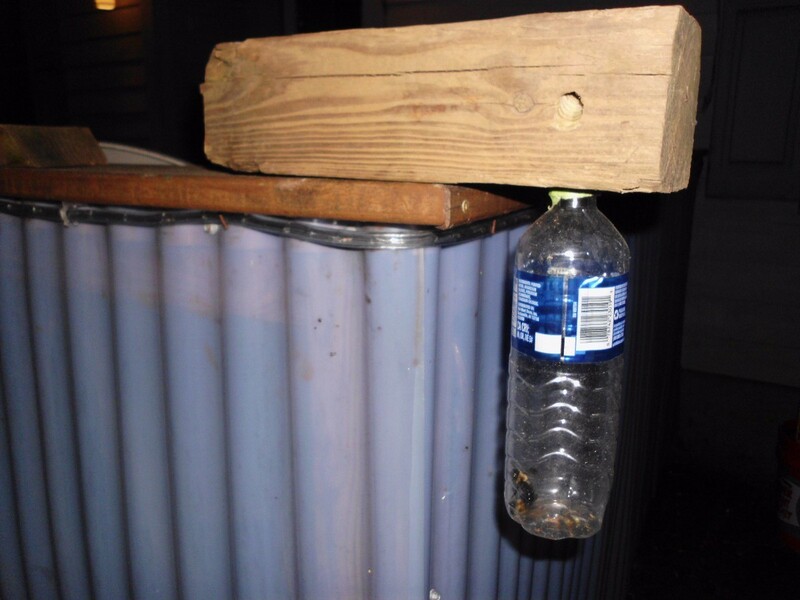 This is a guide about making a carpenter bee trap. Get a 4"x4" post wood post cut into a 12" to 20" long section. Lay wood on a work bench horizontally. You will drill the same diameter of a common water or soda bottle opening at about 2" from the end and side of the wood. A 1" hole is good to a depth of 3 inches. Then drill two 1/2" holes at a 45 degree angles to the hole on both sides of the wood. It should form an "A" meeting at top of big bottom hole. 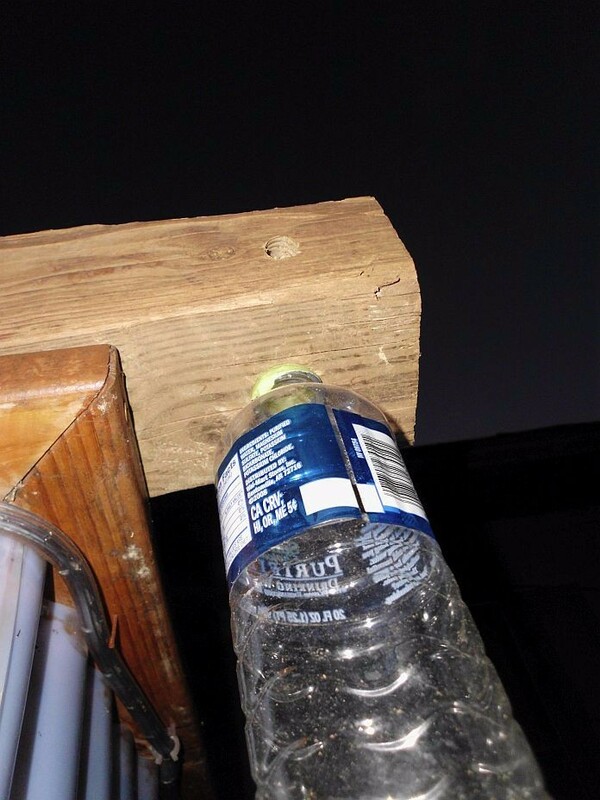 If all three holes meet inside, just screw, slide or push an ordinary beverage bottle's mouth into main hole. Place the trap over a railing, stair step, fence, etc. 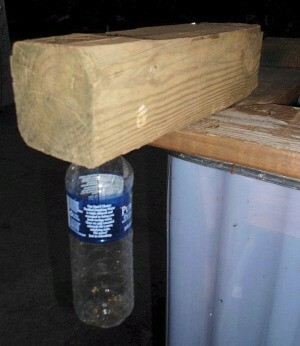 Leave it until some dumb bee crawls into one of the slanting holes, and drops into the bottle mad as hell! A weathered 4x4 is best. Leave the trap in the rain, sun, snow, etc. so that the bees will be more easily fooled that it is a real nest hole. Here's a "dumb" question: Won't the dumb bees see all the dead bees and start avoiding the trap?